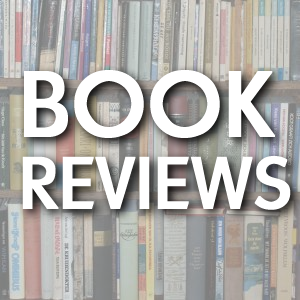 Do you read other reviews before starting a book or after finishing? I’ll read reviews for a book that is new to me or that I’m unsure about before starting. After I’ve made the plunge, I normally steer away from reading reviews while I’m reading the book so that I can make up my own mind. If I’m planning on writing a review, I also steer away from reviews until I’ve read the book and written my own thoughts down. I usually read reviews before purchasing the book. It’s not the rating that is important to me, but I like to read insights that will help me decide wether it’s my kind of book or not. Hmm, that’s kinda tricky. I enjoy following allow with friends ‘journey’ of the book and typically base my decesion on adding it to my tbr list/wish list from their experience while reading. Actual reviews I save until after I’ve read the book. Mainly because I don’t want to be swayed or predisposed to thoughts before I write a review. But I tend to gravitate to friends or reviewers that have the same book palate as I do when buying a book. Especially new-to-me authors or newly released books. I know who to trust to give in to my one-click purchasing impulses…most of the time. But, surprises are to be expected, both good and bad. I rarely read reviews before I read a book. When I’ve finished, and then written my own review, I’ll then go back and read everyone else’s…so I can discuss thoughts with other readers. I’ve had too many books spoilered for me by reading reviews beforehand. If, however, I’m uncertain if I can handle a book, most specifically w/ the angst level, I may skim a few reviews of trusted friends. When faced with a new author, I’ll skim the reviews to get a general idea of the book. I try not to read a review that gives a detailed synopsis of the plot so that it doesn’t spoil it for me. I will read the 2-star reviews, though. There have been some books that were highly rated that I didn’t like because of a certain quirk. Going back to read the reviews, particularly the 2-star ones, I found that others had similar dislikes that I have. With a favorite or familiar author, I rarely read the reviews before reading the book. I’ll wait until after I’ve finished the book. It’s like enjoying the book all over again. That depends, there are some authors i auto buy so i don’t necessary read reviews beforehand for those books. But if i want to buy a book by a new to me author or and author that isn’t an auto buy then i do look at goodreads for reviews. I have a couple of people who’s reviews on goodreads i like or whom i know have simular taste in books as i so those are the reviews i look for. It depends if an author is new to me I will go to my favourite review sites and take a look at the reviews before I buy the book. But if it’s an auto buy author I do stay clear of the reviews until after I’ve read the book I don’t want to spoil the reading of the book. I steer clear of reading reviews whenever possible because I don’t want spoilers. If a title and blurb hook me, I pull the trigger and try it. If I was dubious, I’d read the first few pages and then decide. It depends. I usually don’t like reading a review because I find myself remembering it when reading the book, myself. I don’t like that my own opinions might be influenced by someone elses thoughts. The only time I really read a review is when I’m undecided over buying a book or a while after I have read the book and a book blog (like this one) is reviewing it. I never read reviews until I have finished the book and made my own review. I have found what appeals to me might not with other readers so I skip the reviews. I have seen 2 or 3 star reviews that I gave a 5 because I loved the book. And the opposite is also true. A book that didn’t appeal to me others gave a 5. My reviews are for me and my thoughts on the book. I do read reviews of books I haven’t read and plan to add to my ever-growing TBR pile. Considering I like to take my time reading, I’m not wary of spoilers or feeling like a particular reviewer’s opinion will influence my enjoyment. That said, I do like to go back and re-read reviews after I’ve finished a book just to see if/how closely a reviewer’s taste and mine align. On the very rare occasions I’ll read a review on Amazon, I’ll search for the 2-star ones. In my experience, those reviewers tend to be very focused on their criticisms of whatever book I’m considering buying. This entry was posted on September 25, 2015 by BioB in News and tagged question, reviews.